Nana Mizuki is one of Japan’s most respected voice actresses, having given life to characters such as Hinata from Naruto, Moka Akashiya from Rosario + Vampire, Ann Takamaki from this year’s smash hit Persona 5, and hundreds of other memorable characters from anime, OVAs, and video games. But Nana Mizuki is also an accomplished songstress, with numerous studio albums and sold-out concerts to her name since the early 2000s. And, as you can expect, some of her works have already been illegally reproduced and distributed all across the world. 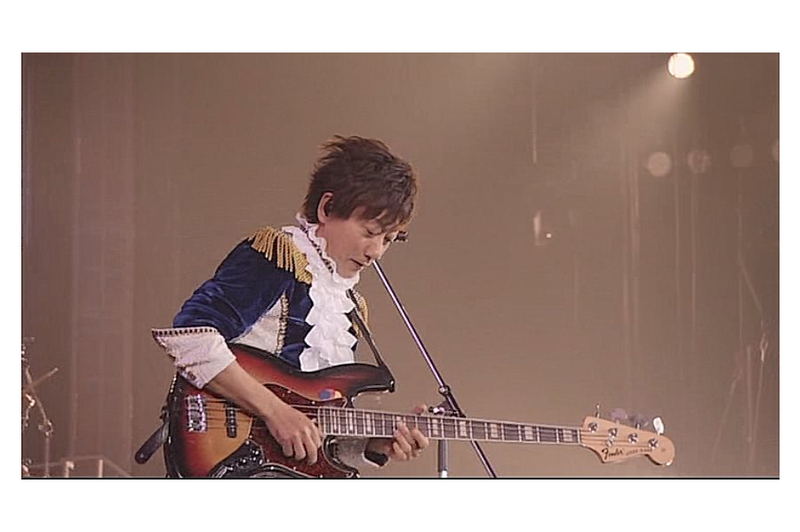 In this article, we’ll be discussing one of her live concert DVDs, namely the Nana Mizuki Live Castle X Journey -King- release. If you want to avoid purchasing fake DVDs, it’s generally a good idea to stay away from Chinese online shopping sites. 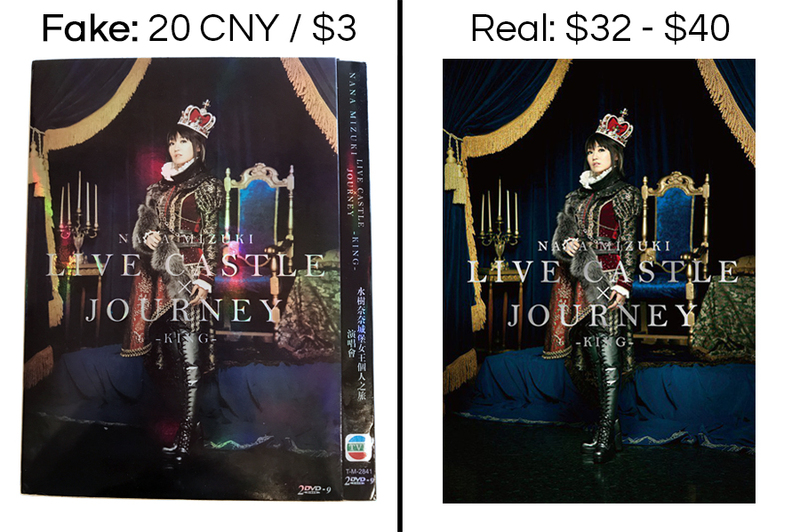 While it would be unfair to say they’re all engaged in illicit practices, a good number of them do sell counterfeits products, such as the Nana Mizuki Live Castle X Journey -King- DVD pack we acquired. 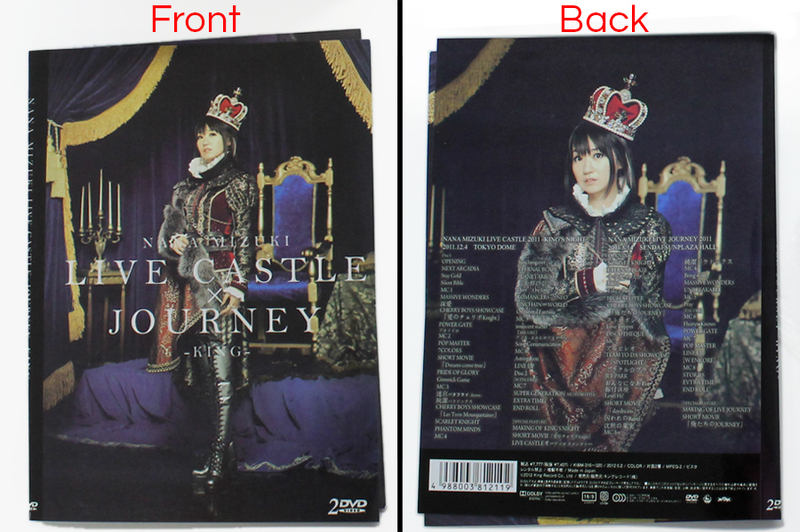 The fake Nana Mizuki Live Castle X Journey -King- came to us in an ugly, clear plastic envelope with an uneven flap. The outer packaging itself is essentially glossy cardboard folded in the middle to form two sides. The images displayed on its front and back covers are direct imitations of the original’s, except the fake’s print quality is inferior, resulting in blurring and muted colors. The colors are also a bit off, with a little more purple than the original’s. You’ll notice the TVB logo on the lower right corner of both the front and back cover. This refers to Television Broadcasts Limited, a television station in Hong Kong. 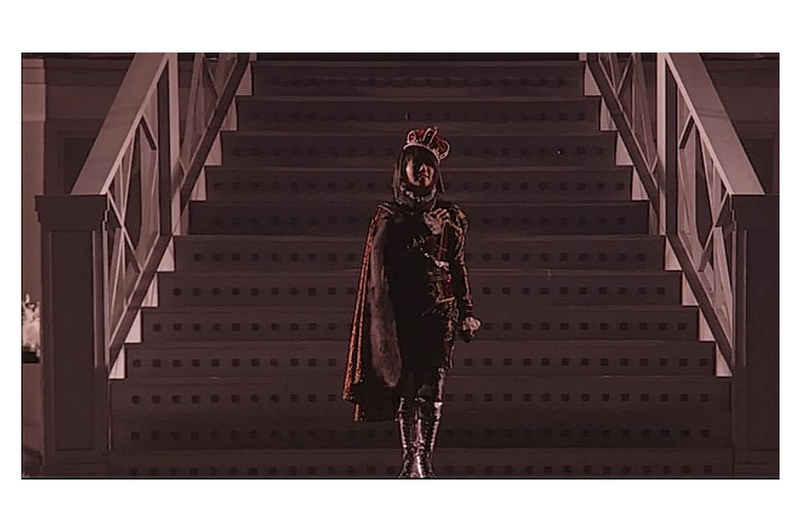 There’s no evidence TVB ever produced or distributed Nana Mizuki Live Castle X Journey -King- DVDs; in fact, the company responsible for that is King Records. 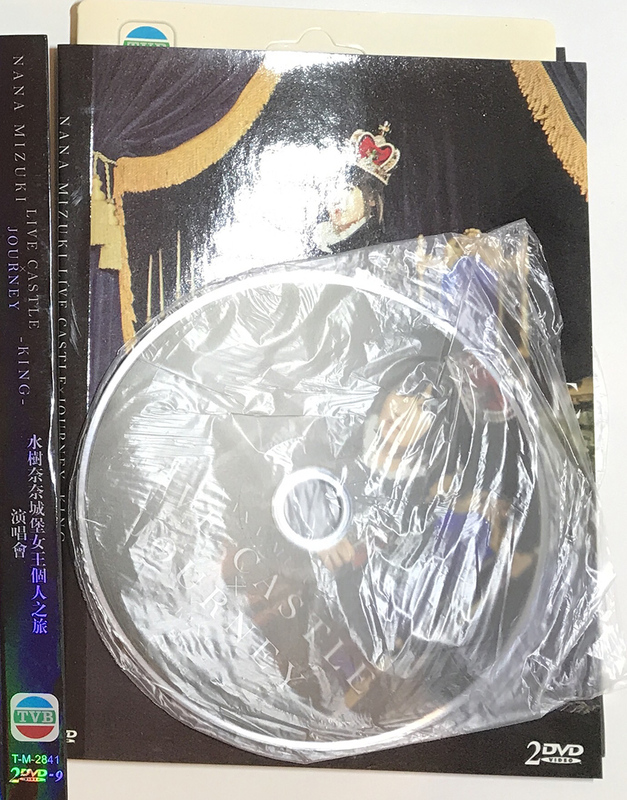 It’s possible the pirates used the TVB logo on the outer packaging to trick buyers into thinking it’s a legit product from Hong Kong. Flip the outer packaging open and you’ll be greeted by more photos, which suffer from the same problems as those on the covers. You’ll also find squeezed between the outer packaging’s two sides the nearly identical interior packaging. This is made of even thinner cardboard than the outer packaging. It’s also folded awkwardly, so that each side’s corners don’t meet. Pinned between the interior packaging’s sides is an off-white sleeve also made of thin cardboard. 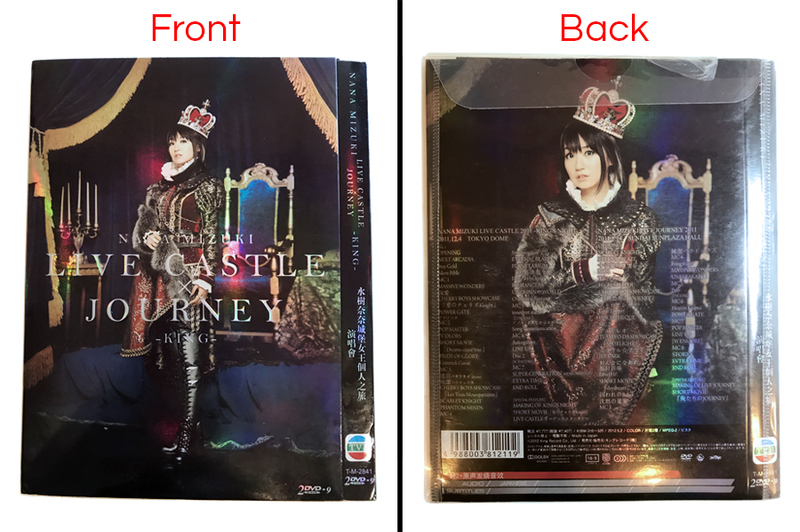 The sleeve bears the TVB logo and a barcode that points to an American product with absolutely no relation to the Nana Mizuki Live Castle X Journey -King- DVD. The white sleeve houses 2 DVD discs wrapped in crumpled white plastic. Now compare all this to the packaging of the official product, which you can see below. 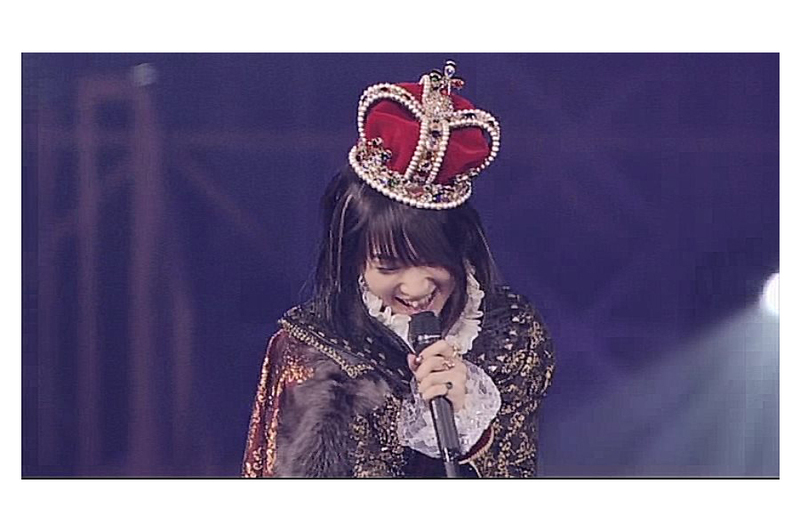 Nana Mizuki Live Castle X Journey -King- comes in DVD and Blu-Ray formats. While the images above show the Blu-Ray version, both releases feature extremely similar packaging. The most glaringly obvious difference between the packaging of the fake and official product is their quality. The official packaging is composed of three parts. 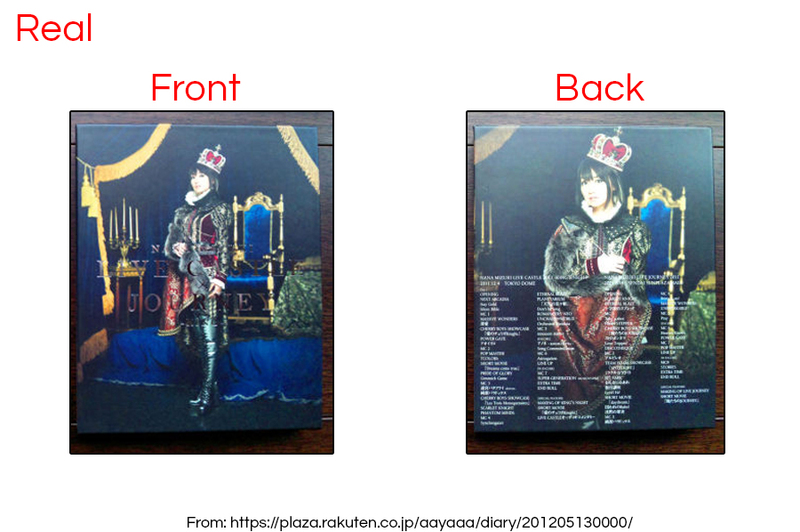 The first part is the outer box-like packaging which is made of thick, durable cardboard adorned with photos of Nana Mizuki on the front and back. Its colors are vibrant and the details are sharp, thanks to the excellent print quality. The blues are rich, and there’s also a lot less purple. The second is a sleeve made of thinner cardboard. This is wrapped around the Blu-Ray case or DVD cases themselves, which are plastic shells that open up to reveal the discs fitted into trays, and held in place by center hubs. 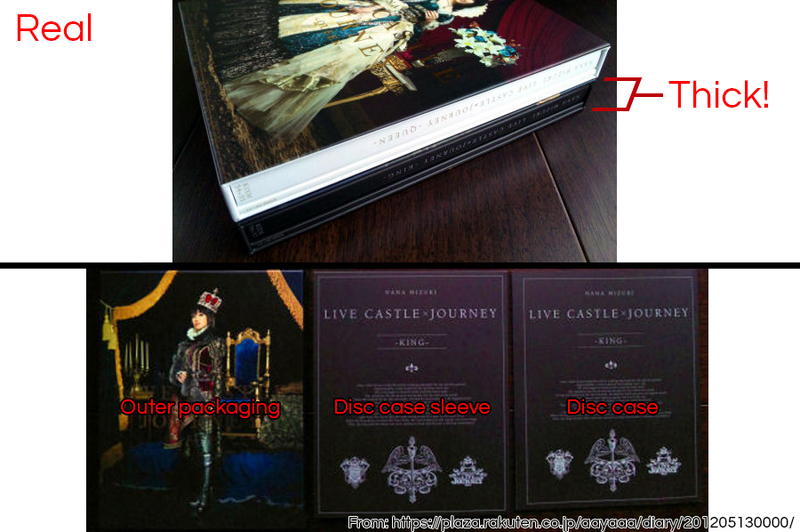 The art on the sleeve and cases are identical. 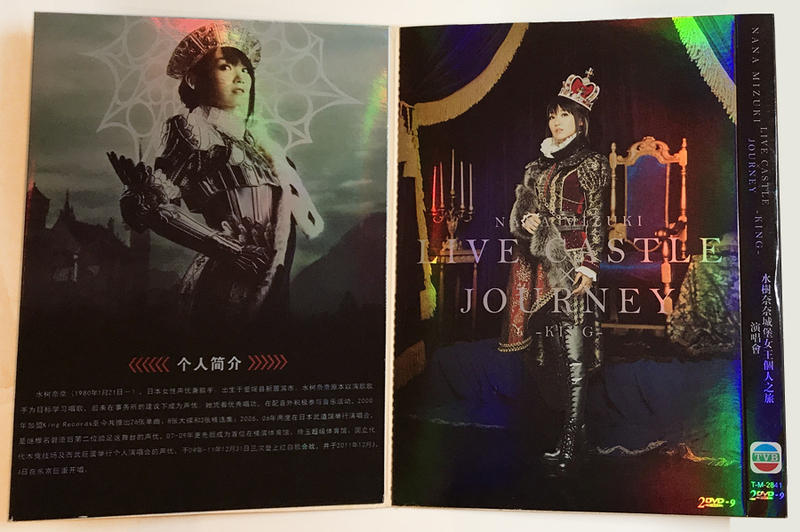 Printed on the tops of the discs are photos of Nana Mizuki. As you can guess, the print quality of these images is also subpar. 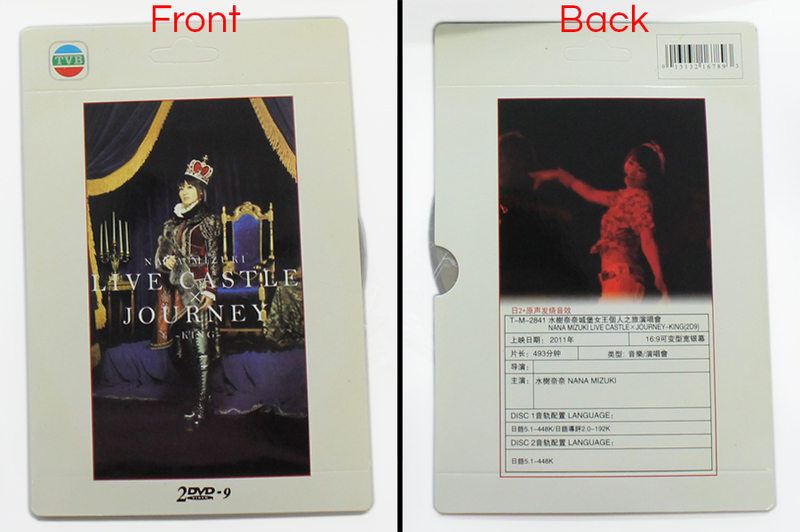 The design on the tops of the official discs is different, with each disc featuring the logos of Nana Mizuki’s concerts set against a black backdrop. And so we come to another outrageous difference between the fake and official product. 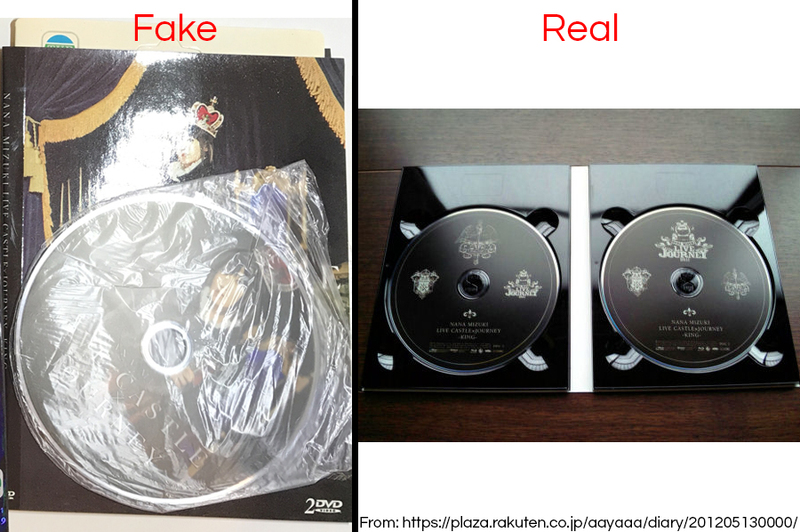 The fake comes with 2 DVDs, whereas the official product boasts a total of 5 DVDs. 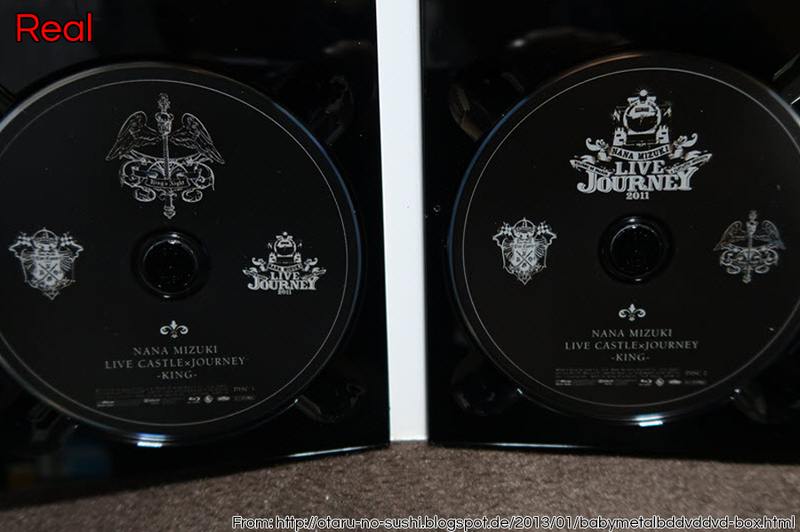 Included in these 5 discs are the concerts and two special features: a short movie and a “Making of Live Journey” documentary. We used a DVD and media player to run the fake discs to see if their contents are the same as the official product’s. The fake DVDs have a menu screen that suggests there are 3 discs despite there being only 2. 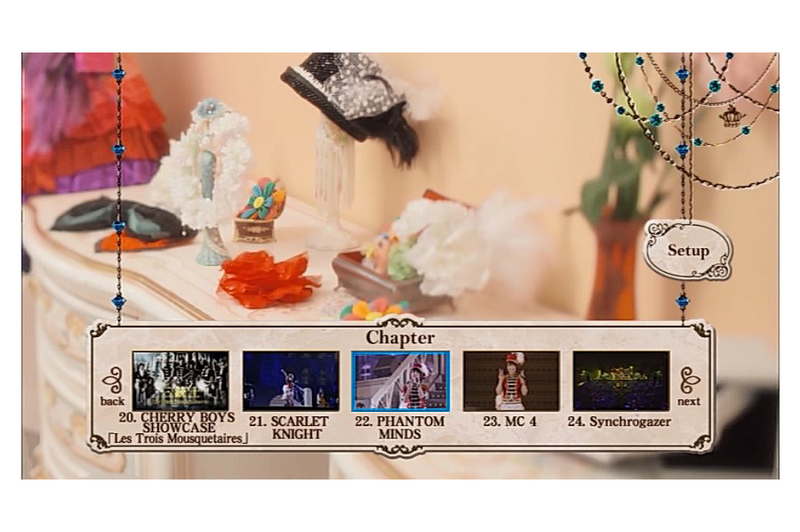 The menu also leads to chapter selection screens. The video quality is pitifully poor. The picture is grainy and worsens when stretched to full screen. The colors aren’t very sharp, either, giving the whole thing a tired, washed-out appearance. It seems the pirates were able to fit 5 DVD’s worth of content by sacrificing video quality. This fake having only 2 discs instead of 5 is therefore less a blessing and more of a curse. The official product may be more expensive than the fake, but you get your money’s worth: beautiful, durable packaging that would look great in your display case, and exemplary video quality. 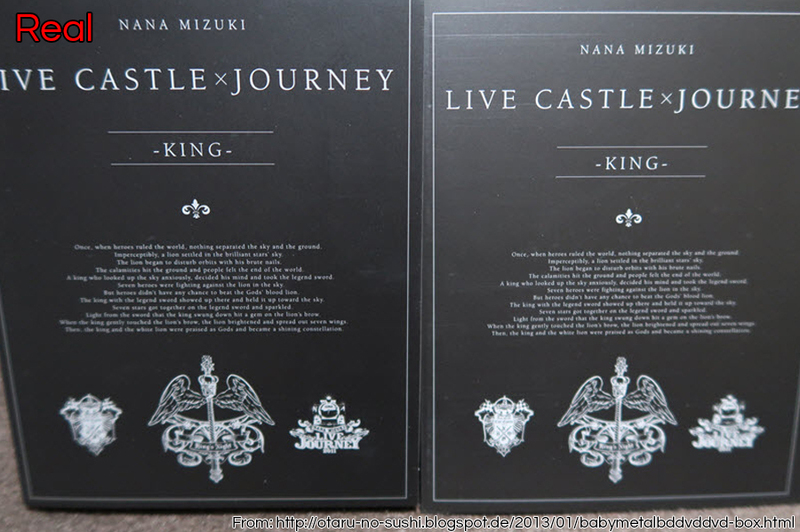 You can buy the official Nana Mizuki Live Castle X Journey -King- DVDs on Amazon and Amazon Japan. 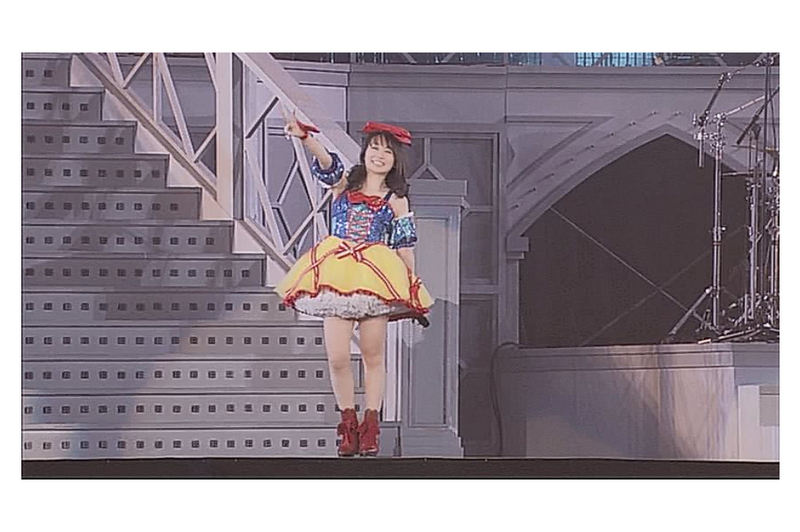 You can also visit Nana Mizuki’s official site () for news about any of her new releases, and King Records to buy Nana Mizuki and other Japanese artists’ DVDs. 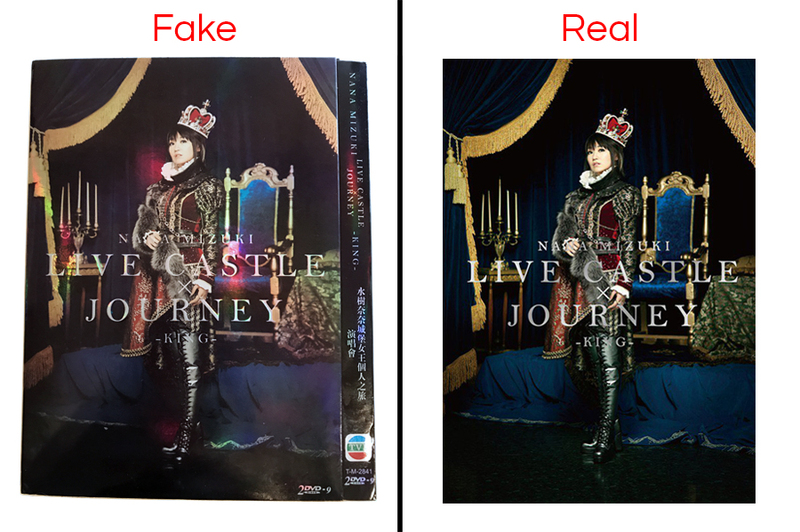 Its hideous packaging and appalling video quality earn the fake Nana Mizuki Live Castle X Journey -King- DVD a 80% terrible rating.